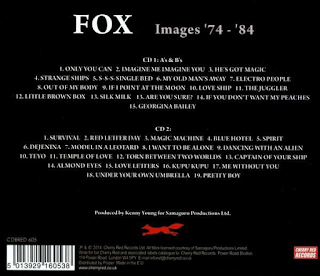 This is a compilation of all the 'A' sides and 'B' sides that Fox released in the period 1974-1984, plus a fair amount of album material from their three albums. The dates are a bit confusing for, as far as I can see, the last single they put out was "Electro People"/"If You Don't Want My Peaches" in 1981. (Incidentally, "Electro People" is a quirky, post punk-ish electric pop number). There is a single from 1982, though, it would seem - "Model In A Leotard" and some tracks that I cannot find out about that presumably come from the 1983-84 period. I only have the download version, so I do not have access to the sleeve notes. I have had to find out what I can. 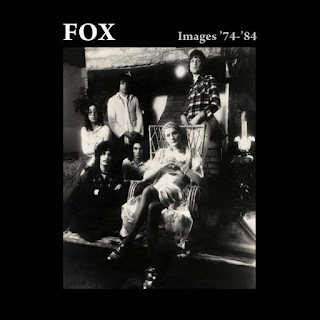 The three albums were "Fox" (also reviewed) and "Tails Of Illusion" from 1975 and 1977's "Blue Hotel". It is a shame they can't be included in their entirety. Only the first album is readily available on CD or to download at present (early 2019). Anyway, on to this release. As many have commented upon, the sound is pretty questionable. It sounds very "needle-drop" to me (sourced directly from the original vinyl), although it doesn't have the crackles that they usually do (although I detected some on "Dejenina"). What it is, though, is very muffled and lacking in sharpness and clarity, as if somebody has put a blanket over the speakers. "Little Brown Box" is particularly unimpressive. "Silk Milk" not much better, or indeed "Survival". The tracks from "Tails Of Illusion" seem to be the worst offenders. Maybe this is not bad remastering, however. Maybe they just weren't recorded very well in the first place. The 1981-onwards single tracks, for example, sound much better. They also have a punky, oddball appeal to them. "Dancing With An Alien" is very Ultravox-esque with vague Bowie hints too. Irritatingly, the tracks are not included chronologically. Anyway, apart from the "Fox" album, this collection is all that is available from this unique, quirky band. Sound problems or not, the occasional listen to tracks like "If I Point At The Moon", "Strange Ships" or "My Old Man's Away" are always pleasurable. "Magic Machine" has an uplifting hippy feel to it. "S-S-S-Single Bed" was a great single too. 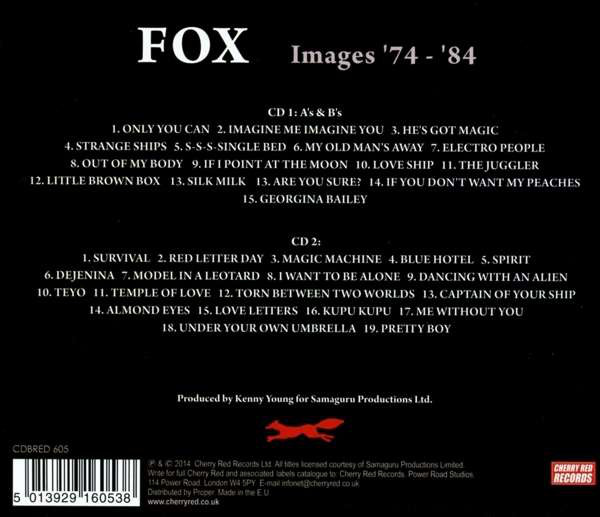 I am sure the young Kate Bush must have listened to Fox back in the mid-seventies too.